by Hal N. Anderson, Manager, Clean Water Partners LLC. Can bio-engineered sediment basins and constructed wetlands improve water quality in the Boise River by reducing levels of phosphorus and sediment? 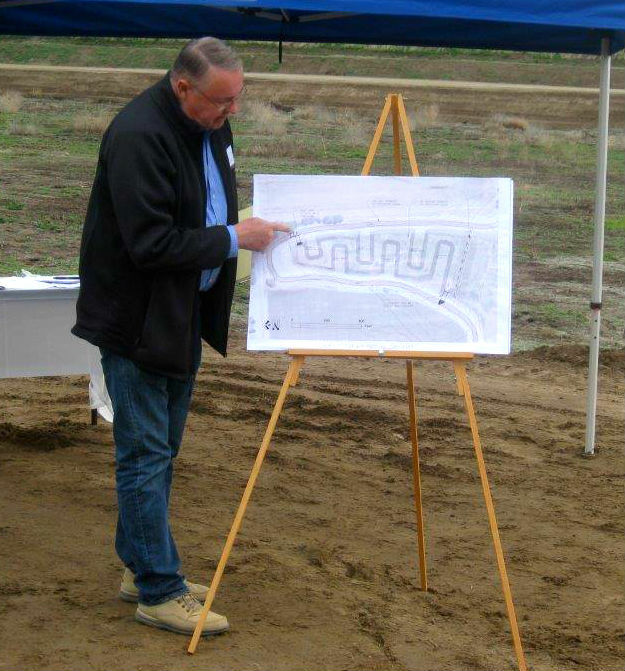 In 2014, Clean Water Partners, LLC, (CWP), began a demonstration project at the North Alkali Drain in Canyon County to find out. 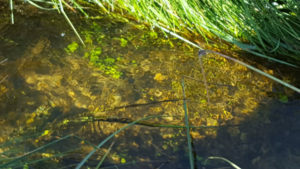 Now, after four years of operation, data collected by CWP provide evidence that constructed wetlands and sediment basins effectively capture sediment and phosphorus. The Alkali Drain has agricultural runoff from crop land and concentrated animal feeding operations (CAFOs). The location of this drain at the lower end of the Boise River basin includes non-point sources along the drain as well as accumulated pollution loads from upstream sources. This pilot demonstration project is testing the concept that low tech and natural processes can effectively reduce sediment and phosphorus and provide scientific documentation of results. It is an objective to transport the techniques and processes used to other drainages. With the information generated by this project, regulators, NPDES permit holders and river managers will be better informed regarding the means and methods for nutrient removal from the Lower Boise River and similar basins in Idaho and the West. This project was designed to be both operational in that water quality is being improved, but maybe more importantly, the project was designed to provide an opportunity for additional research. Improving water quality, especially from non-point sources, requires a diversified approach. While projects like North Alkali are not the only solution, when combined with on-farm, re-use, and water use efficiency improvements, sediment basins and constructed wetlands can provide cost effective and quantifiable improvements to water quality. The project was funded 60 percent by federal Clean Water Act funds distributed by Idaho DEQ and the Lower Boise Watershed Council and Canyon Soil and Water Conservation District. The 40 percent match came from the land owner, CWP, The Parma Company and others. CWP committed to measuring the project results for five years and is currently in the last year of monitoring. The results have provided very useful information on the effectiveness of constructed basins and constructed wetlands and also valuable details on how future projects should be designed and operated. Since the project began operation in 2014 approximately 130 pounds of phosphorus and 34 tons of sediment have been removed from the drain water before it enters the Snake River just upstream from the confluence of the Boise and Snake Rivers. 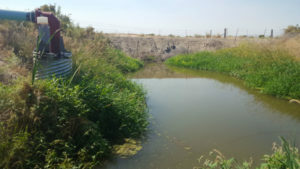 Editor’s Note: The Boise River Enhancement Plan recognizes the effectiveness of constructed wetlands and sediments basins, but cautions they require constant maintenance to dredge and harvest wetland plants. The Hyatt Hidden Lakes Reserve in Boise, Idaho is a 44-acre urban reserve. It provides habitat for a multitude of species such as red-winged blackbirds, gadwalls, Pied-billed Grebes, snakes, and others. The welcoming paths give visitors a quick and easy way to add nature into their day. 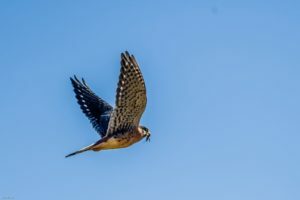 But the reserve does more than provide wildlife habitat in the city, it also provides a place for people arriving in Boise from all over the globe to connect to their new home. On June 11, more than 40 adult students from the English Language Center took a field trip to the reserve organized by the Hyatt Hidden Lakes Reserve Habitat Enhancement project, the USFWS is a project partner. Some students brought their children, so it was a noisy, multi-generational group that got off the bus. The students eagerly picked up binoculars and headed off down the path with volunteers ready to point out the native plants and animals. There were exclamations of excitement over the birds. “See the bird nest?” said Allyson Turner of the Fish and Wildlife Service. “This is where the baby birds hatch,” she said while cradling an imaginary baby in her arms. Smiles of recognition and excitement followed. Everyone connects with and loves to hear about babies. “Smells like Boise,” one volunteer said, and this was repeated by the student with a large grin. “Yes, smells like Boise.” Some of the students picked flowers found around the reserve and put them in their hair and everyone laughed when ducklings made an appearance. The afternoon ended with lunch and a few photos before the students headed home. Regardless of the students’ ages or circumstances, I think it was unanimous that Boise is a cool place to live, with lots of natural space and opportunity- even in the middle of the city. A simple field like this is a great way to connect people to their natural world. It also can lead to a whole new generation of biologists – some of the visitors may decide to become conservation professionals. Volunteering for the field trip gave me first-hand experience with people from other cultures. I grew up in Idaho where there’s little ethnic diversity. I really enjoyed the chance to grow by meeting people who didn’t grow up like I did. Clearly, Idaho is changing, and my participation in this event reinforced the positive aspects of growth and change. 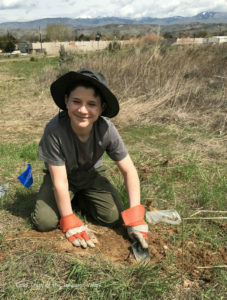 An important part of the Hyatt Hidden Lakes Reserve Habitat Enhancement project is to connect people, especially those from other cultures, to nature. The more people who appreciate our natural world the way I do, the more voices of support there will be for habitat enhancement. Whether we grew up in Boise or are newly arrived, everyone that day seemed to appreciate the place we call home. 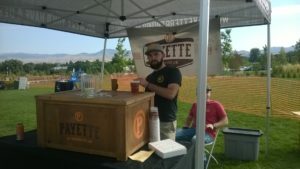 Love to paddle, run, drink root beer or beer, listen to live music, and support the Boise River all in the same day? Here is your perfect opportunity. 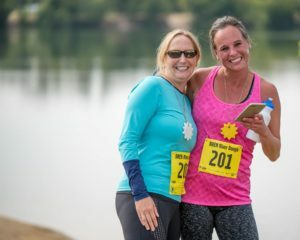 BREN will be hosting the 2nd Annual River Boogie Duathlon at Quinn’s Pond and Esther Simplot Park on September 16th, 2018. The race starts with a fun paddle out and back on Quinn’s Pond followed by a beautiful 2-mile loop run on the Greenbelt. Participants can race as an individual or sign up as a team with one person paddling and one person running. This year we’ve added a course just for kids. 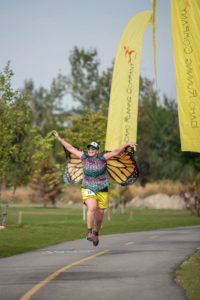 The kids’ course is a shortened paddle in Quinn’s Pond followed by a 1-mile loop run around Esther Simplot Park. This is the perfect race for the whole family. The race will be followed by live music, root beer, beer, food, raffle drawings, and vendors who all love and support the Boise River. 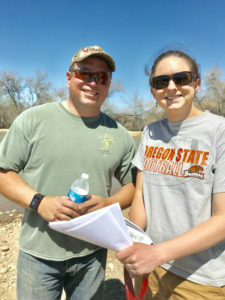 Volunteering at the Boogie is a fabulous way to support the Boise River. There’s a job to suit everyone. Volunteer sign up. Follow the registration prompts and select the volunteer option. Local businesses are supporting the Boogie so that all race proceeds go straight to funding the Cottonwood Creek Daylighting Project. 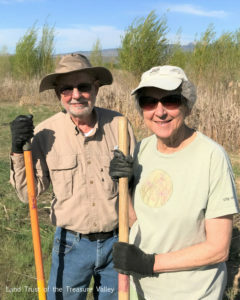 Many hands made quick work of planting over 300 trees and shrubs at Jason Cagle’s constructed wetland in Greenleaf on April 20. 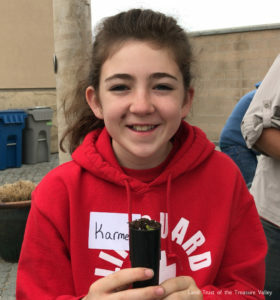 The work involved digging into hard-packed dirt, fording the high-flowing Pipe Gulch Creek, working on steep hillsides and remembering how and where to plant the many species of plants. 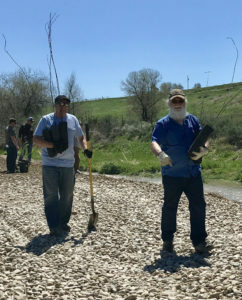 The Boise River Enhancement Network (BREN) and NRCS recruited more than 20 volunteers to help, most of them from Xylem, Inc, BREN’s 2018 Corporate Stewardship partner. 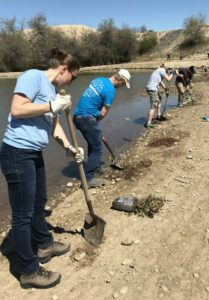 Xylem employees will be participating in three river projects with BREN in 2018. The Cagle project started in 2017 when Jason approached the NRCS with his idea to transform a weed-infested lot into a habitat-rich wetland. The site has excellent water availability, and a design was created by NRCS engineer Doug Higbee that included removing the large Russian olive trees from along the ditch and revegetating with native plants, excavating a small wetland and planting willows and shrubs around it, as well as establishing native plants along a second tailwater ditch that runs through the property and on the steep hillside. The project totals 2.3 acres. 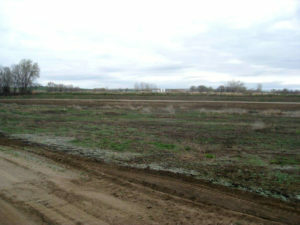 The wetland designed by NRCS. 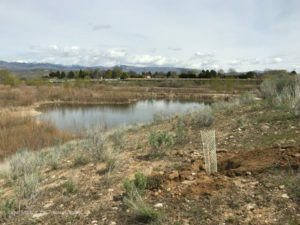 Development in the lower Boise River watershed has resulted in a significant loss of wetlands, and cooperative projects like this can provide important habitat for native birds and animals. Wetlands also help to reduce nutrient in the water that passes through them. Water quality is a major concern in the Boise River watershed. 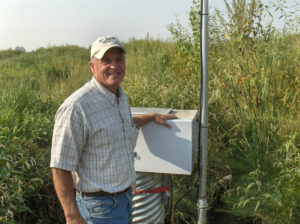 The NRCS can assist landowners with similar projects through the Environmental Quality Incentives Program which helps to offset the costs for projects that have natural resource benefits. Due to a long history of land alteration, wetland and riparian areas along the Boise River have been reduced in extent and function. The Boise River Enhancement Plan recommends creation of constructed wetlands to replace some of the lost habitat and enhance water quality. Flows have fluctuated on the lower Boise River this spring, but as the river begins its final downward dance, many people are thinking about getting on the river in their canoes, kayaks and rafts. Rivers are dynamic natural systems that are always changing. 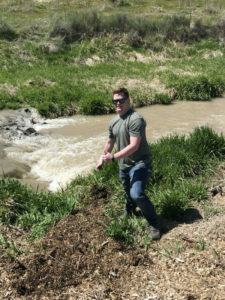 The lower Boise River is no exception, and the recent weeks of flows above 6,000 cubic feet per second (cfs) and heavy rains and winds, have undoubtedly brought down trees. 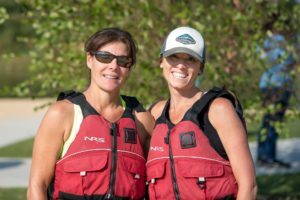 You should always expect the unexpected and exercise good judgement when you boat the lower Boise River. And with that caveat, we’re happy to share this report from BREN member Scott Ross who scored an early season trip. You can also learn a lot from the Boise River Guide and Google Earth Tour. Safe boating! Ran the North Channel on Apr 26 @ 2100 CFS and again on May 2 @1250 CFS. Put in at Willow Lane and took out at Linder Road. The Little Dry Creek diversion dam below Glenwood bridge was unrunnable (as usual) and the portage trail on the left just above the dam is choked with debris, making the portage more difficult than in the past. The gravel push-up done last year to divert more flow into the North Channel has washed out, but still the flow into the North Channel is significant and generally provided enough depth on these trips to avoid bottom-dragging. At this time the channel is generally clear — with two exceptions: 1) A downed tree blocks most but not all of the channel upstream from the pedestrian bridge near Reid Merrill Park. Easy portage or paddle around the tree on river left. 2) The North Channel splits near the Eagle Sewer District wastewater plant and taking the right channel appears to be the best option because it has more flow. However, that channel is completely blocked by a downed tree, forming a dangerous sweeper several hundred yards downstream and requiring a difficult portage. Avoid this channel and instead take the left channel, which has low flow, brushy banks, and tight turns near the split but quickly opens up to a nice, clear channel. On both trips the flow was high enough to paddle right over the Middleton Irrigation District diversion dam just below the Eagle Island Parkway bridge — no portage necessary! Most people know about the Intermountain Bird Observatory’s Lucky Peak Station high in the Boise foothills. Volunteers help band hundreds of migratory birds there each year. But IBO has a new research station on the Boise River on the pool created by the Barber Dam. This area of the river has been heavily impacted by the dam which was built more than 100 years ago. IBO has plans to restore some of the river’s natural function and improve aquatic and riparian habitat. IBO has worked for the past five years to secure more than 20 acres of property along the Boise River in southeast Boise. First, in 2012, Boise State worked closely with Idaho Transportation Department to secure management of a parcel of river bottom at the Highway 21 bridge. A few years later, the university purchased an adjoining parcel of riverfront. 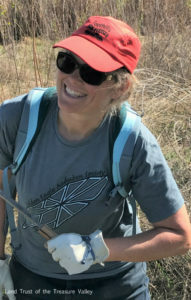 For the past few years the Boise River Research Station has been used to develop an outreach and education program headed by Education Director, Heidi Ware. The long range plan is to make major improvements to the property to enhance its natural features and to develop infrastructure that will aid in outreach activities. Come on the June 6 field trip with the Boise River Enhancement Network to see the area for yourself. The plan includes restoring a natural side channel and reconnecting it to the river to improve fish and wildlife habitat. Side channel habitat is sorely lacking along the Boise River as a result of urban and rural development. Side channels provide refuge for fish when river flows are high, and the cover provided by trees and shrubs cools the water and protects the fish from predators. Students learn more when they can explore the riparian area safely, so an interpretive trail system is being planned. To minimize impact on the wetlands and protect critical habitat, raised boardwalks will be installed in some locations. Wildlife viewing blinds will be built to avoid disturbing wildlife, especially nesting birds. 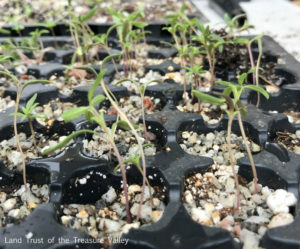 The important upland habitat will also be restored by removing invasive plants and fostering growth of native vegetation like willows and woods rose. Pollinator gardens filled with flowering plants that bees and other insects rely on with also be built. 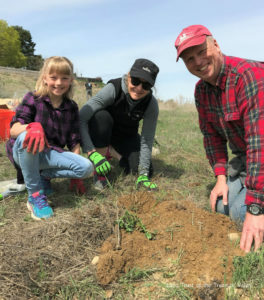 More than 90 volunteers made quick work of planting 550 shrubs at the City of Boise’s Hyatt Hidden Lakes Reserve on April 14 as part of the Boise River Enhancement Network’s cooperative project to improve wildlife habitat and decrease fire risk. Re-establishing native plants and controlling weeds is recommended in the Boise River Enhancement Plan. The volunteers included members of Rotary Clubs from across the Treasure Valley and 32 youth from Boy Scout Troop 100 and the Idaho Fine Arts Academy Interact Club. The project aligned perfectly with Rotary International’s 1.2 Million Tree Planting Challenge; a national campaign to plant one tree for each member of Rotary. 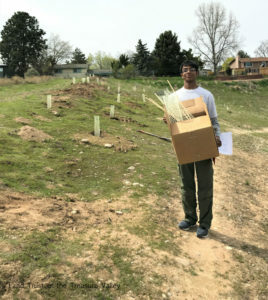 It also was a great fit for Jayanth Mouli, a sophomore at Boise High School who selected this conservation project for his Eagle Scout service project. 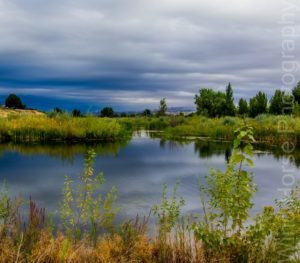 Nestled in a residential and commercial area in West Boise, the ponds, wetlands and hillsides of the reserve blend together to create a unique pocket of wildlife habitat in the center of urban Treasure Valley. The reserve enjoys year-round use by people attracted by the rich bird life, the wide paths and the outstanding scenery. 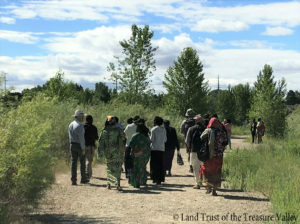 The 18-month multicultural habitat enhancement project is led by the Land Trust of the Treasure Valley, Boise River Enhancement Network and City of Boise Department of Parks and Recreation. Project partners include U.S Fish and Wildlife Service, Idaho Office of Refugees by Jannus, Big Brothers Big Sisters of Southwest Idaho, Golden Eagle Audubon Society, Intermountain Bird Observatory, Boise State University, College of Western Idaho, The Wetlands Group, Idaho Weed Awareness Campaign, Rotary International and Partners for Clean Water. 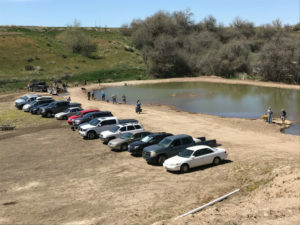 The Farmers’ Co-operative Ditch Company of Parma is breaking new ground in northwest Canyon County as work gets underway on an 8.8-acre sediment basin designed to remove 2,000 tons of sediment from the water in the canal. When completed, canal water will be diverted into the sediment basin and travel a sinuous 2,000 ft before returning to the canal for delivery to producers. 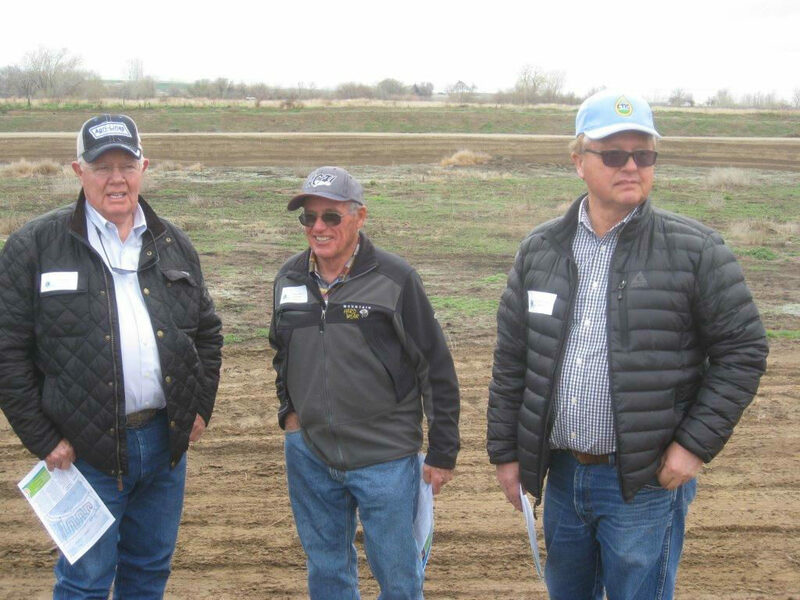 Many Farmers’ Co-op shareholders currently receive water with large amounts of sediment that damages pumps, clogs irrigation systems and accumulates in concrete ditches. After irrigating crops, the water drains to either the Boise River or the Snake River depending on the location of the farm. Water quality in both rivers is impaired by excess sediment and nutrients. Federal plans are in place to bring the rivers into compliance with water quality standards that protect the aquatic ecosystem and recreational river users. Agricultural compliance with the plans is voluntary, and public/private cost-sharing projects like this one are critical to implement needed improvements. 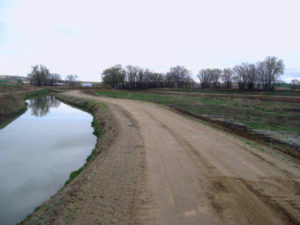 The project is the first sediment basin developed and managed by an irrigation delivery entity in the Lower Boise River watershed. The Farmer’s Co-op is leasing the land for the sediment basin and providing staff and shareholder support. 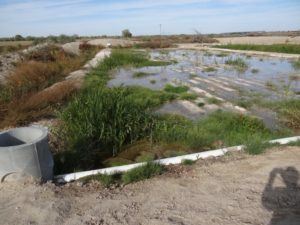 $500,000 from the USDA-Natural Resources Conservation Service Regional Conservation Partnership Program will help build the sediment basin and also provide matching funds for Farmers’ Co-op shareholders that install on-farm conservation practices to reduce water usage and improve soil health. Project Fact Sheet. 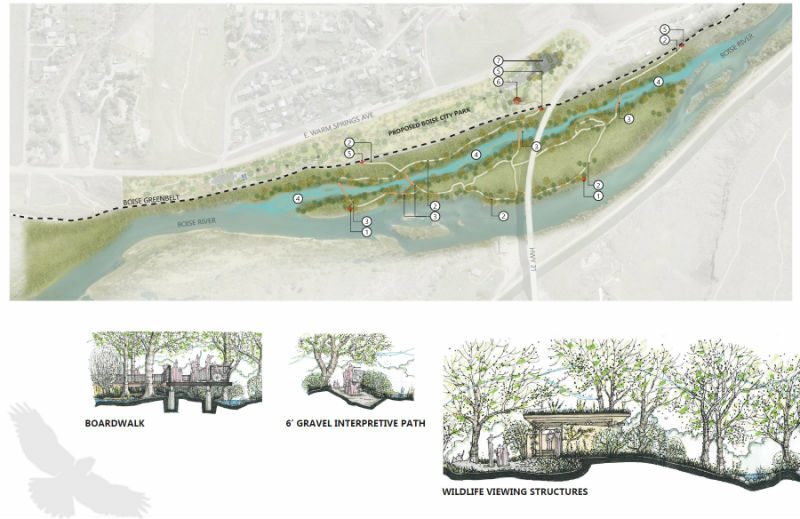 This ambitious project aligns perfectly with recommendations in the Boise River Enhancement Network’s Boise River Enhancement Plan. On-site enhancement, like the on-farm best management practices that will be implemented through the project, is recognized as the best way to improve water quality. Conversion to sprinkler or drip irrigation and precise application of fertilizer are two BMPs that improve water quality. Construction of sediment basins is also recommended as an effective way to reduce sediment and nutrients entering the river. 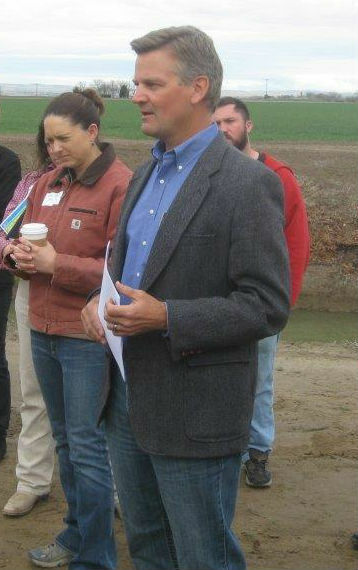 Project partners include the USDA-NRCS, Lower Boise Watershed Council, and Canyon Soil Conservation District. 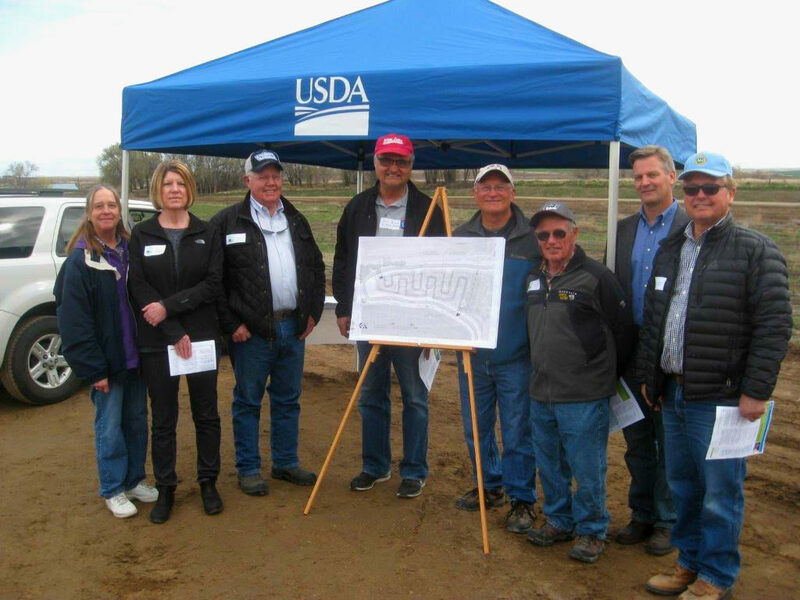 Directors of the Farmers’ Co-operative Ditch Company, Canyon Soil Conservation District, and Lower Boise Watershed Council celebrate the groundbreaking on April 6, 2018 along with staff of NRCS. Hyatt Hidden Lakes Reserve teems with birds. Birders come to Hyatt in droves for the excellent views of charismatic species like Ruddy Ducks, with their bright blue bills. Or the families of Pied-billed Grebes with their odd, croaking calls and cute zebra-striped babies. Birders and passers-by marvel at the Great Blue Herons, Belted Kingfishers, and Ospreys fishing–each in their own way. We think of the raucous calls of Yellow-headed Blackbirds, the classic Red-winged Blackbird “conk-a-ree”, and the raspy, energetic chatter of Marsh Wrens. When the reserve was formed, a restoration effort created excellent wetland habitat that attracts a great variety of species. A male Northern Shoveler swims on the pond at Hyatt wetland. 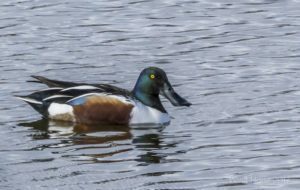 Northern Shovelers are common visitors to Hyatt during the Fall, Winter, and Spring. 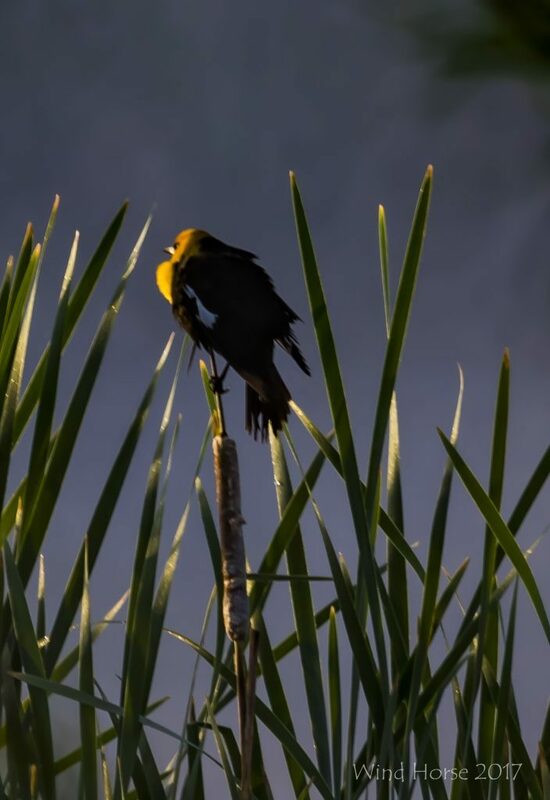 A Yellow-headed Blackbird sits in the sun atop cattails at Hyatt Hidden Lakes Reserve. Hyatt Hidden Lakes Reserve is Home to More than Waterfowl! If you look at the species list, Hyatt may host a huge variety of waterbirds, but in reality, more than half the species that call Hyatt home also rely on its upland habitat for survival! American Kestrels hunt for mice and grasshoppers in the shrubs and fields. California Quail, Black-billed Magpies, and numerous Sparrow species rely on Sagebrush and other shrubs for food, shelter, and warmth. The cover that Hyatt’s upland habitat provides means birds have a home year-round, even during the cold of winter, when shelter is especially important. And while birds already love and use Hyatt Hidden Lakes Reserve, the upland habitat is not what it could be. 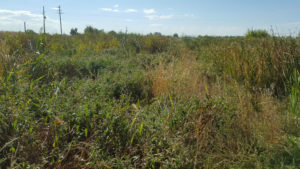 A number of invasive grasses and shrubs have taken over large patches of Hyatt, making it less attractive to birds than the native plants that should be there. If you can believe it, Hyatt could someday be even more valuable habitat for birds with just a little TLC. Upland habitat restoration is underway! 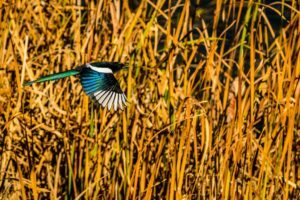 I hope you’ll join me, and the rest of the birdwatching and nature loving community, in supporting the Hyatt Hidden Lakes Habitat Enhancement Project. There’s a lot of work to do and a lot of room for enthusiastic volunteers to pitch in. As a fan of Hyatt, I cannot wait to watch the bird list grow even larger as the habitat continues to improve. To hear what we’re doing to make Hyatt even better, don’t forget to attend our BREN Brown Bag Lunch Program on April 11 at the Boise Library at 11:30 am. To learn more about the birds that call Hyatt home, be sure to join the Idaho Birding Facebook community. Our local Golden Eagle Audubon Society often visits Hyatt during their group field trips. You can also view a species list and illustrated checklist of Hyatt’s bird diversity on eBird. Or, even add your own observations of Hyatt’s bird life by submitting your own eBird checklist.